EuroSciCon welcomes each one of you to the "6th World Congress on Obesity and Cardiovascular Diseases" which will take place in Chicago, USA, from 18 to 19 November 2019. The conference will focus on the theme "Platform for sharing new treatments and research for obesity and cardiovascular diseases"
Obesity and cardiovascular disease conference will provide you with a wonderful opportunity to refresh your knowledge and explore new innovations in the field of obesity and cardiovascular diseases. We would like to thank each of you for those who will attend the conference and bring your expertise to our meeting. Our participants will enjoy the various educational opportunities and networking events created through the collaboration of leading organizations for obesity. Obesity is a chronic (long-term) medical problem of too much body fat. Health care providers use a number called the Body Mass Index (BMI) to diagnose obesity. Your BMI is calculated from your current weight and height. The higher their BMI, the more body fat they have for most people. Some bodybuilders and athletes have high BMIs, but they have more muscle mass than average and are not considered to be obese. Environmental factors such as high-fat foods, super-sized portions, fast food consumption play a major role in obesity occurrence. Individuals are addicted to high fat and calories, highly palatable and inexpensive foods. Behavior is one of the factors influencing weight gain. Learned behaviors such as using food to express love, eating by ignoring body signals lead to obesity. Obesity is increasingly common in post-industrial societies and the burden of childhood obesity is increasing. The major effects of obesity on cardiovascular (CV) health are mediated by the risk of metabolic syndrome (insulin resistance, dyslipidemia, and hypertension), so that the absence of these risk factors in obese individuals may not be associated with increased mortality risk. Obesity is linked to a few endocrine diseases, including basic ones such as hypothyroidism and polycystic ovarian syndrome to rare ones such as Cushing's syndrome, central hypothyroidism, and hypothalamic disorders. Mechanisms to upgrade weight shift in as per endocrine condition. Hypothyroidism is related to the combination of hyaluronic acid in different tissues, extra liquid preservation due to reduced cardiovascular yield and reduced thermogenesis. The net abundance of androgen gives the impression of being urgent in the progression of central obesity. In Cushing's syndrome, association with thyroid and developmental hormones plays a significant part in increasing adipocyte separation and adipogenesis. This audit also depicts remaining rare cases: hypothalamic obesity due to central hypothyroidism and combined hormone deficiencies. Being overweight or obese increases the chance of developing the common type of diabetes, type 2 diabetes. The body makes enough insulin in this disease, but the cells in the body have become resistant to the salutary action of insulin. Science suggests that being overweight stresses the insides of individual cells. Specifically, overeating stresses the membrane network inside cells called endoplasmic reticulum (ER). When the ER has more nutrients to process than it can handle, it sends out an alarm signal telling the cell to dampen the insulin receptors on the cell surface. This translates into insulin resistance and persistently high blood sugar glucose concentrations-one of the sure signs of diabetes. Obesity-associated arterial hypertension is characterized by activation of the sympathetic nervous system, activation of the renin-angiotensin system and retention of sodium, among other abnormalities. The following three facets of the obesity / hypertension nexus will be discussed in this review: the potential mechanisms by which obesity can lead to elevated arterial pressure, the interaction of obesity with the sequelae of hypertension, and the therapies that are believed to optimally treat obesity-related hypertension. Obesity is a risk factor in both men and women for heart failure (HF). The mortality risk of obese adults with HF in class I and II is lower than that of normal weight or underweight adults with HF of comparable severity, a phenomenon called the obesity paradox. Severe obesity produces hemodynamic alterations that predispose to changes in cardiac morphology and ventricular function that may lead to HF development. The presence of systemic hypertension, sleep apnea, and hypoventilation, commonly occurring comorbidities with severe obesity, may contribute to HF in such patients. The resulting syndrome is known as cardiomyopathy for obesity. More than two - thirds of American adults are overweight and obese, making this an important issue for people living with cancer. When a person is overweight or obese, it means they have too much body fat in relation to lean body tissue, such as muscle. Many factors can make people obese. These factors include genetic, hormonal, environmental, emotional, and cultural factors. People who are overweight have a higher risk of many serious health conditions, including type 2 diabetes, high blood pressure, and heart disease. Overweight is also associated with an increased risk of many types of cancer. Maternal obesity is now considered one of the most common risk factors seen in obstetric practice. 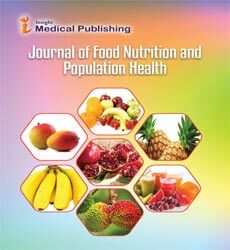 Women with obesity are at increased risk of miscarriage, gestational diabetes, preeclampsia, venous thromboembolism, induced labor, cäsarean section, anaesthetic complications and wound infections compared to women with a healthy pregnancy weight, and are less likely to initiate or maintain breastfeeding. Babies of obese mothers are at increased risk of death, congenital anomalies, prematurity, macrosomia and neonatal death. Intrauterine exposure to obesity is also associated with an increased risk of developing childhood obesity and metabolic disorders. Genes affect every aspect of human physiology, development, and adaptation. Obesity isn't an exception. However, the complex interplay between our genetic makeup and our life experiences is relatively little known about the specific genes that contribute to obesity and the scale of so-called "genetic environment interactions." Over the past 20 years, obesity among adults in the United States has increased significantly. A third of U.S. adults aged 20 and older— over 100 million people — are obese, the latest data show. Not limited to adults, this increase has also affected young people. 18% of children aged 6-11 years and 21% of adolescents aged 12-19 years are considered obese among young people. These obesity rates have significant implications for the health of Americans. Being obese increases the risk of many illnesses and conditions of health. The cause of obesity on the surface seems simple: if you consume more calories than you burn as energy through physical activity, you will gain weight. But as with many things, the simple explanation is often incomplete. The risk factors that contribute to obesity can be, among other things, a complex combination of genetics, socioeconomic factors, metabolic factors, and lifestyle choices. Some endocrine disorders, diseases, and medicines can also cause weight to increase. Being obese increases the risk of chronic diseases such as cardiovascular diseases (CVD), diabetes, a variety of cancers and death, and is closely related to the status of BMI (body mass index). Weight loss has been shown to reduce these health risks associated with obesity. Even a small amount of weight loss has beneficial effects on hypertension and diabetes. Prevention of obesity should not only focus on eating healthy, but also eating less food. Prevention of obesity requires discipline in food choices and portion size to avoid excess caloric excess. Any reasonable diet plan to initiate weight reduction can achieve caloric restriction (> 500 calories / day). Added physical activity to dietary measures results in incremental weight loss and regular physical activity is crucial to maintaining weight loss. A characteristic strategy and a new clarification for obesity is required which must be applicable, adds value to the health-promoting effects of weight loss and medically meaningful. A conscious goal is to begin dynamic lifestyle changes by creating physical activity and eating sound sustenance. Weight loss can be caused by surgical procedures by restricting the amount of food the stomach can hold. This causes the digestive tract to absorb abnormal nutrients. Most of today's weight loss surgeries are performed using minimally invasive techniques. Anti-obesity drugs are used as pharmacological agents that reduce or control weight. These drugs change one of the human body's fundamental processes or weight regulation by altering either appetite or calorie absorption. The treatment for overweight and obese individuals is diet and physical exercise. The ideal anti-obesity drug would result in sustained weight loss with minimal side effects. Mechanisms that regulate energy balance have substantial built-in sacking, significantly overlap with other physiological functions, and are influenced by social and psychological factors that limit the effectiveness of pharmacological occurrence. According to a number of scientific studies, the food we eat has a significant impact on our health. Changes in diet can help prevent or control many health issues, including obesity, diabetes, and certain risk factors for cancer and heart disease. Dietetics is the science of how food and nutrition affect human health. Dietetics has a strong emphasis on public health and a commitment to educating all Americans on the importance of making proper dietary choices. The effect of extreme obesity on mortality is greater among younger adults than older adults. In this respect, obesity is also associated with increased risk of several types of cancer. However, up to 30 percent of obese patients are metabolically healthy with insulin sensitivity similar to healthy normal weight individuals, lower visceral fat content, and lower carotid artery intima media thickness than most metabolically "unhealthy" obese patients. Abdominal obesity is the most frequently observed component of metabolic syndrome. Nutrition is the intake of food considered in relation to the dietary needs of the body. Good nutrition–an adequate, well-balanced diet combined with regular physical activity–is a cornerstone of good health. Poor nutrition can lead to reduced immunity, increased disease susceptibility, impaired physical and mental development, and reduced productivity. Eating disorders are serious conditions related to persistent eating behaviors that have a negative impact on your health, emotions, and ability to function in important areas of life. The most common eating disorders are anorexia nervosa, bulimia nervosa, and binge eating disorder. Most eating disorders involve too much focusing on your weight, body shape, and food, leading to dangerous eating behaviors. These behaviors can have a significant impact on the ability of your body to get adequate nutrition. Eating disorders can harm the heart, digestive system, bones, teeth and mouth and lead to other diseases. While no food is a magic bullet for weight loss, there are certain foods that can help you achieve your goals of weight loss. Most of the foods included as part of a weight-loss diet have a few things in common: they are high in fiber (which helps keep you feeling full longer) and have low energy density — meaning you can eat a decent portion without overdoing it with calories. Include the following weight-loss foods as part of a healthy overall diet, and you may find it easier to achieve your weight-loss goals. Healthy eating and good nutrition begin with nutrient-rich, healthy food choices (foods with large amounts of vitamins and minerals in lower calories) from all food groups. Choosing a variety of nutrient-rich foods as the basis for what you eat can help you live a longer, healthier life. Healthy eating should be about positive choices, focusing on foods that provide the nutrients that you need to maintain good health. Unfortunately, much of the dietary advice available today focuses on what you "can't" or "shouldn't" eat. Our nutrition education resources and healthy eating articles will help you determine what you can do to make healthy eating choices. Obesity results from energy imbalance: too many calories are burned in too few calories. A number of factors influence how many calories (or how much "energy") people burn each day, including age, body size, and genes. But the most variable factor— and the easiest to modify — is the amount of activity people get every day. Keeping active may help people stay at a healthy weight or lose weight. It can also reduce the risk of heart disease, diabetes, stroke, high blood pressure, osteoporosis, and certain cancers, as well as reduce stress and boost mood. Inactive (sedentary) lifestyles do the opposite. Decreased sleep duration and quality is associated with increased body weight and adiposity. Insomnia, obstructive sleep apnea, and restless legsyndrome are three of the most prevalent types of sleep disorder that result in increased risk of numerous chronic conditions of health. Various studies have examined the impact on obesity of these sleep disorders and are an important link in understanding the relationship between chronic disease and sleep disorders. Physical activity and exercise are important prognostic tools for obesity and chronic disease, and numerous studies have explored the relationship between obesity, sleep disorders, and exercise. Sarcopenic obesity is a medical condition defined as the presence of both sarcopenia and obesity. Sarcopenia refers to the presence of low muscle mass and either low muscle strength or low physical performance. When accompanied by a high fat mass, the condition is known as sarcopenic obesity. As a determinant of the clinical course of heart failure (HF), cardiac remodeling is generally accepted. Defined as genome expression resulting in molecular, cellular, and interstitial changes and clinically manifested as changes in heart size, shape, and function resulting from heart load or injury, heart remodeling is influenced by hemodynamic load, neurohormonal activation, and other factors still under investigation. Cardiometabolic risk is a condition in which the possibilities of developing atherosclerotic cardiovascular disease (CV) and diabetes mellitus are significantly enhanced as a result of the presence of insulin resistance and atherogenic dyslipidemia, the latter being characterized by the presence of low - density lipoprotein (HDL)-cholesterol and high triglyceride levels.1,2 Cardiometabolic risk is diagnosed with an enhanced waist circumference (above 102 cm in males and 88 cm in females) accompanied by the above - mentioned lipid profile changes (HDL cholesterol below 40mg / dl in males and 50mg / dl in females and serum triglycerides above 150mg / dl). The relationship between obesity and psychiatric disorders varied by ethnicity / race. The likelihood of mood or anxiety disorder was positively associated with obesity for certain racial / ethnic groups, but was moderated by differences in physical health status. Disorders of substance use were associated with decreased odds of obesity. Food safety is a scientific discipline that describes the handling, preparation and storage of food in ways that prevent foodborne disease. The occurrence of two or more cases of a similar disease resulting from the ingestion of a common food is known as an outbreak of food-borne disease. This includes a number of routines that should be followed to avoid potential health hazards. It is possible to isolate both obesity and depression. Each condition, beyond its immediate impact, can be stigmatizing and have serious health effects. Interestingly, the other often develops when one health problem occurs. Obesity-affected people are often self-aware of their appearance or physical ability. They withdraw from social activities or are excluded from them. They feel more isolated from friends, colleagues and loved ones. Their self-worth feelings continue to fall all the time. At the same time, obesity affects other organs systems, causing shortness of breath, aches, sleep disturbances, chest pains, and digestive problems – all of which can trigger feelings of sadness and despair, depression hallmarks. Europe: The International Society for Nutrition and Functional Foods | British Society of Herbal Medicine | The World Organization of Natural Medicine | Society for Medicinal Plant and Natural Product Research | The German Society for Nutrition Medicine | The European Society for Clinical Nutrition and Metabolism | British Association for Applied Nutrition & Nutritional therapy |Italian Society of Human Nutrition | The Nutrition Society | Society of Nutrition and Food Science | Good Food Society | Public Health and Food Safety | Spanish Nutrition Society | Swedish Society for Clinical Nutrition | Swiss Society for Nutrition | Dutch Academy of Nutritional Sciences | Federation of European Nutrition Societies (FENS) | Nutritional Society of Europe | European Sport Nutrition Society ESNS | European Nutraceutical Association | German Nutrition society | European federation for pharmaceutical sciences | Association of Scientific Medical Societies in Germany | Federation of European Nutrition Societies. USA: American Nutrition Association | International Scientific Association for Probiotics and Prebiotics | Cognitive Neuroscience Society | International Food Policy Research Institute | The Food and Beverage Association of America | The Food society | Guelph Food Technology Centre | North American Meat Processors Association | National Association of Citrus Juice Processors | American cheese Society | California Beer and Beverage | Canadian Association of Holistic Nutrition | Animal Nutrition Association of Canada | Ontario Society of Nutrition Management | Brazilian Society for Food and Nutrition | Argentine Society of Nutrition | Mexican Federation of Societies of Nutrition | Society for Nutrition Education and Behaviour | American nutrition association | Academy of Nutrition and Dietetics | American Society for Nutrition | American Society for Clinical Nutrition | American Society for Parenteral and Enteral Nutrition | The Society for Clinical Nutrition and Metabolism | American pregnancy association | American Public Health Association | American Society for Clinical Nutrition | Society for Nutrition Education and Behavior | American Association of Naturopathic Physicians | Cognitive Neuroscience Society | Society for Nutrition Education and Behaviour. Asia Pacific & Middle East: Probiotic Association of India | Japan Society of Nutrition and Food Science | National Agricultural Cooperative Marketing Federation of India Limited | National Institute of Nutrition Campus | Nutrition Society of India |North African Nutrition Association | The Association of Food Technology | All India Distillers Association | Hong Kong Dieticians Association | Food & Nutritional Science Society | Nutrition Society of Malaysia | The Parenteral & Enteral Nutrition Society of Malaysia | Singapore Nutrition and Dietetics Association | Society Parenteral and Enteral Nutrition | Pakistan Nutrition and Dietetic Society | Nutrition Society of Pakistan | Nutrition Society of Bangladesh | Clinical Nutrition Society | The Indian Society of Probiotics | The Parenteral and Enteral Nutrition Society of Malaysia | Indian Dietetic Association, India | The Nutritionist-Dieticians Association of the Philippines | The Indonesian Nutrition Association | Society for Nutrition | Education & Health Action (SNEHA) | Association of Health Food Nutrition and Dietetics: AFND | Australian Institute of Food Science and Technology | The Nutrition Society of Australia | Nutrition Australia | Obesity and metabolic surgery society of India | Annual Gulf Obesity surgery society | The Nutrition Society | All India Association for Advancing Research in Obesity | Gulf Heart Association | The Dubai Association Centre (DAC) | The Gulf Chapter of the American Association of Clinical Endocrinologists (AACE) | Asia Pacific Clinical Nutrition Society China | The Indian Society of Clinical Nutrition India | Singapore Nutrition and Dietetics Association Singapore | The Parenteral and Enteral Nutrition Society of Malaysia.